We are one of the most trusted names of the industry engaged in offering a supreme quality range of Molded Rubber Components to the customers. These products are manufactured using supreme quality raw material such as rubber and others sourced from the authorized vendors of the market. Moreover, we can customize these products as per the exact details provided by the clients. 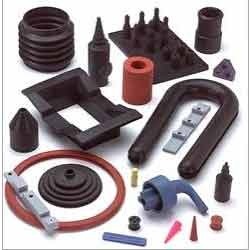 We are one of the prominent names of the industry engaged in offering Molded Rubber Components to the esteemed customers. 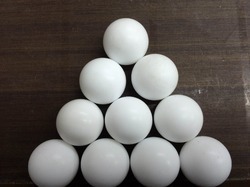 These components are manufactured using high quality rubber, which is molded into different components. Moreover, our range of components blocks the washers bushes couplings buckets rubber cots seals with utmost efficiency. Our product range is use in autoclaves and hot air furnaces. Leveraging on the support of industrial expertise, we are engaged in manufacturing and supplying a fine range of PTFE Products. Under the offered range, we provide PTFE cords, tubings, washers, gaskets, bushes, buckets, valve balls, packings, rotor blades, vanes, line bellows, envelope gaskets and all filled PTFE items. In addition to this, we provide bronze mos 2, bronze filled, carbon filled and glass filled. Prior to dispatch, we make these PTFE products undergo a check to ensure their flawlessness. 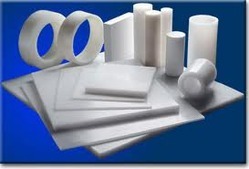 Looking for Industrial Rubber Products ?